This 5 meter (16.5ft) high-quality MPO to 8x LC(4 Duplex) Fanout/breakout Cable, MPO Connector Female without PIN. This MPO breakout / fan-out fiber cable is ready for deployment in any multimode 50/125 MTP/MPO network. OM3 is fully backward-compatible with existing OM2 or OM1 systems. 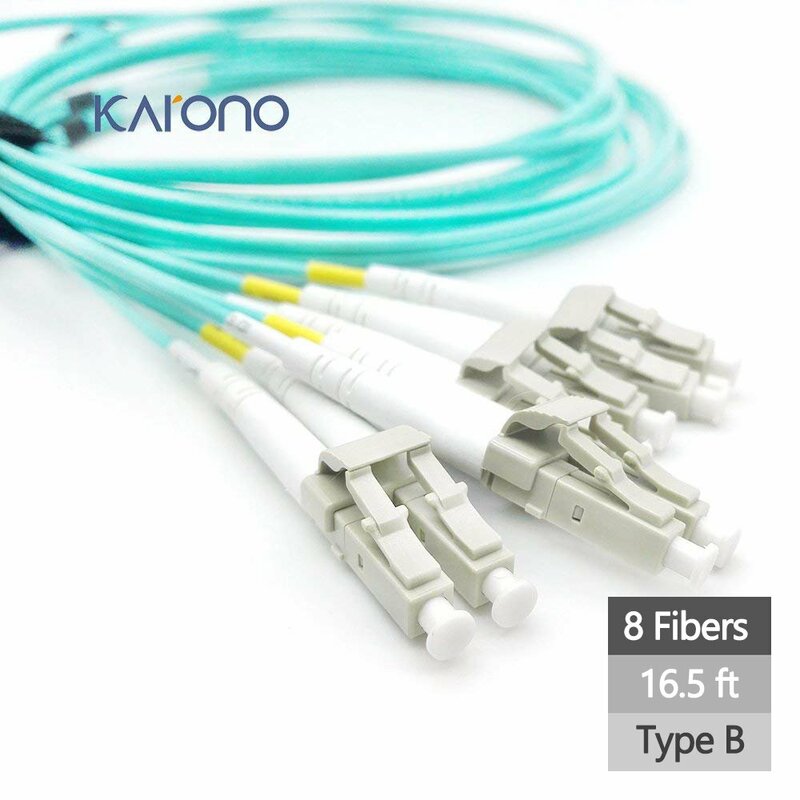 This multimode, MPO fiber cable is comprised of 8 fibers or 4 duplex channels within each connector (the center 4 fibers are not used). These high density cables are perfect when you have limited space, making it possible to run a single cable that automatically terminates 8 fibers in one easy plug-in. The fan-out side has 8 LC connectors that are numbered according to the fiber position in the MPO Connector and duplexed together. The push-pull release mechanism for the MPO connector is easy to engage and disengage, its latch design also prevents the plug from snagging when jumper cables are being routed.